In order to know the history of Admira guitars we must go back to the last century, to 1932, when Enrique Keller Fritsch, a German businessman who was born in Munich, came to Zarautz, a small town north of Spain. He immediately fell in love with this place, the mountains on one side, the Cantabrian Sea and a similar climate to the one he already knew from his homeland. Just five years after the end of the Spanish Civil War, in 1944, Enrique Keller Fritsch started a company that was dedicated to the development of children's toys and musical instruments (mouth harmonicas, keyboards, pianos, etc. ), using mainly wood as raw material. This idea came while other compatriots in Guipúzcoa founded important companies in the area. Later, Enrique Keller Fritsch, in order to meet the changing market demands, decided to restructure the company as well as its activity. From that day on, making classical Admira guitars and other musical instruments would be the main task of the company. Enrique Keller’s workforce has been, without doubt, a fundamental part of our history. 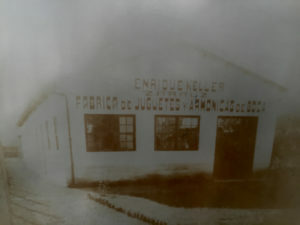 There have been several generations, parents and children working together in different workshops and offices and many workers retired after a lifetime in Enrique Keller SA. Today it is run by the grandchildren of Enrique Keller Fritsch, who died in the early 80s.